In the years around 1825, two Italian writers working independently of one another took up the question of Italy's character as a "southern" country. 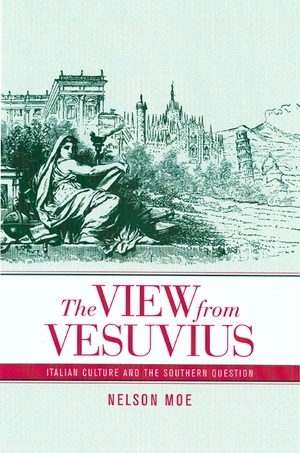 Each was responding in some way to what foreigners had written about Italy, but their views were dramatically opposed. The economist Melchiorre Gioia argued that the categories of northern and southern said little about the character of a people. Whether to the north or the south of the Alps, the laws governing human society are essentially the same. The poet and essayist Giacomo Leopardi, on the other hand, asserted that Italy's southern nature provided the key to its supremacy in the past and its decadence in the present. "It would seem that the north's time has come," he writes (Discorso 83). Establishing an equation between modernity and the north, Leopardi assigned Italy the status of southern has-been. Between the mid-eighteenth and mid-nineteenth centuries, north and south became charged moral categories in the cultural imagination of Europe. In the work of philosophers and poets, historians and novelists, the idea that Europe was divided between northern and southern peoples and countries acquired a new evocative power and explanatory force. For many, Italy was the southern country par excellence. The lands and peoples of Italy were central to the elaboration of the idea of the south, while the south played an important role in the representation of Italy and Italianness. I begin my study by situating the image of the south within this broader geopolitical and conceptual framework, examining the representation of Italy as Europe's south in a set of texts written both by Italians and foreigners in the century before unification. This expanded perspective will enable us in subsequent chapters to highlight that which is specific to representations of the Italian Mezzogiorno as well as to appreciate the overarching geographical division of which it forms a part. In my readings of texts ranging from Montesquieu's Spirit of the Laws to Giacomo Leopardi's Discourse on the Current Customs of Italians, I shall pay special attention to Italy's place in the cultural construction of modern Europe and to Europe's place in the cultural construction of modern Italy. For it is precisely the question of Italy's relation to, and its difference from, western European civilization that will play a decisive role in accentuating visions of southern difference from the mid-nineteenth century on. The vexed relationship between the two parts of Italy, often referred to as the Southern Question, has shaped that nation's political, social, and cultural life throughout the twentieth century. But how did southern Italy become "the south," a place and people seen as different from and inferior to the rest of the nation? Writing at the rich juncture of literature, history, and cultural theory, Nelson Moe explores how Italy's Mezzogiorno became both backward and picturesque, an alternately troubling and fascinating borderland between Europe and its others. This finely crafted book shows that the Southern Question is far from just an Italian issue, for its origins are deeply connected to the formation of European cultural identity between the mid-eighteenth and late nineteenth centuries. Moe examines an exciting range of unfamiliar texts and visual representations including travel writing, political discourse, literary texts, and etchings to illuminate the imaginative geography that shaped the divide between north and south. His narrative moves from a broad examination of the representation of the south in European culture to close readings of the literary works of Leopardi and Giovanni Verga. This groundbreaking investigation into the origins of the modern vision of the Mezzogiorno is made all the more urgent by the emergence of separatism in Italy in the 1990s. Nelson Moe is Associate Professor of Italian at Barnard College, Columbia University. Introduction: How Did Southern Italy Become "the South"?